Situated 4,700 feet above sea level in the Servarayan Range of Tamil Nadu, Yercaud is a tranquil hill station in a setting that is quiet, unhurried and close to nature. 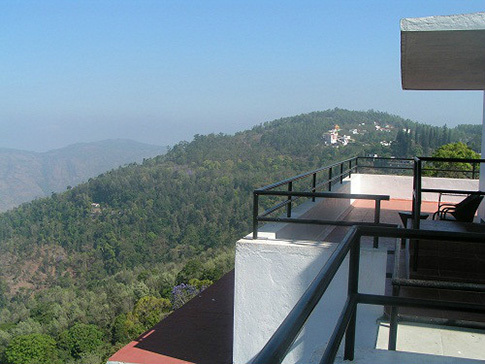 Yercaud is also known for its plantation estates – largely coffee, cardamom, black pepper, and its fruit orchards – with oranges, guava, and jackfruit. Tourist highlights include the Yercaud Lake, the Rose Garden and the Orchidarium. The Yercaud Lake is a picturesque centre-of-town location, set against a backdrop of teak, sandalwood and silver oak forest land. The National Orchidarium managed by the Botanical Survey of India has vast nurseries of rare orchids, including those on the endangered list. The Rose Garden deserves special mention with some of the most exotic and beautiful plant varieties you have ever seen. Overlooking the lush coffee gardens in Yercaud is the dome-and-vault structure of Sterling Holidays Rock Perch, with interesting tourist spots located nearby. Sterling Rock Perch is a prime destination for vacation seekers and those looking for a weekend getaway – amidst heady heights and cool climes. The timeshare space is a great place to be in, with first-job and career building opportunities in all departments – right across marketing, sales, finance, F&B, administration and resort management, to facilities, housekeeping and other customer support areas. My observations here are largely linked to resort chains within the AIRDA network in India, with a view on opportunities, responsibilities and challenges. This month, I want to talk about hiring for timeshare and the nature of jobs and careers in the industry. 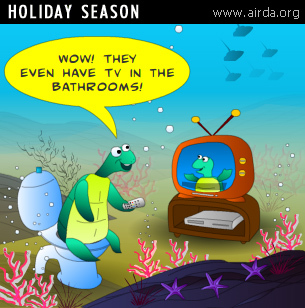 How AIRDA was started . . . 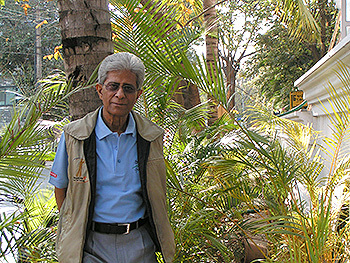 In 1998, a visionary group of resort developers and RCI inked a blueprint for an independent body – an association with a purpose and an agenda – keeping in mind the nascent profile of timeshare in the country and the constructive role that could be played by developers to grow the industry. Importantly, to work hand-in-hand with both promoters and consumers. This was how the foundation was laid for the All India Resort Development Association (AIRDA). 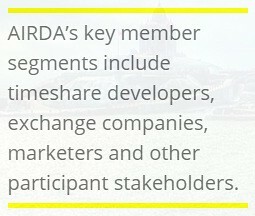 AIRDA’s key member segments include timeshare developers, exchange companies, marketers and other participant stakeholders. In addition to playing catalyst for the vacation ownership industry, AIRDA also assumes the role of an ombudsman – ensuring that the promoter-consumer relationship is ethical, fair and value-based. Promoter members commit to adopt and abide by a code of ethics that reflect fair practices and set the stage for strong, sustainable and profitable businesses. The code also seeks to protect that most important link in the value chain – customers. I like the changing portfolio of offerings from today’s resorts. Not too long ago, I guess a vacation only meant a cozy cottage with a view, or maybe a balcony overlooking a pool. These days resorts are offering exciting outdoor activities, plantation visits, river rafting, hillside trekking and yes … some very interesting F&B options. Timeshare is a holiday format that has a long, long calendar and it is nice to know that your membership is ticking long after you’ve paid your installments. I also love the idea of swapping your weeks through exchange companies. I guess this straight away opens your window to the big wide world of international timesharing. Another key benefit according to me is the ability to vacation with your entire family – or extended family that includes in-laws and grandparents. That is welcoming indeed.